Asthmatic, allergic, and immunologic diseases are sometimes obvious but are often not diagnosed and not treated. The most common symptoms are irritability, headache, malaise and lethargy, foggy thinking, and sleep disturbance. Surprised? His expertise includes but is not limited to custom, allergic rhinitis, atopic dermatis, food allergy and primary immune deficiencies. These health issues can occur individually or together with one or more of these disease processes. For instance, two out of three people with allergic rhinitis are also asthmatics. That is why there are specialists like Dr. Steele Rolston. Dr. Rolston is pleased to have been selected by his peers for inclusion on “Best Doctors” listing each year since its inception. 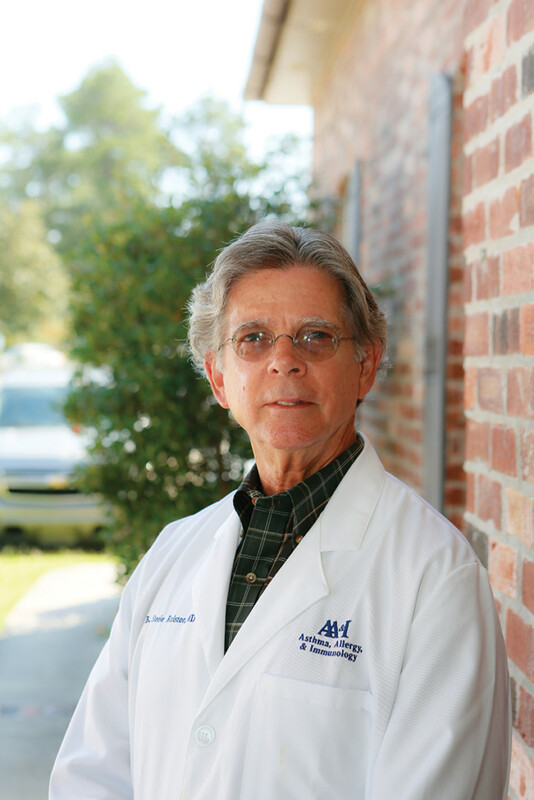 Dr. Rolston is board certified in Allergy and Immunology.